We love all kinds of veggie burgers in this house. All Kinds. 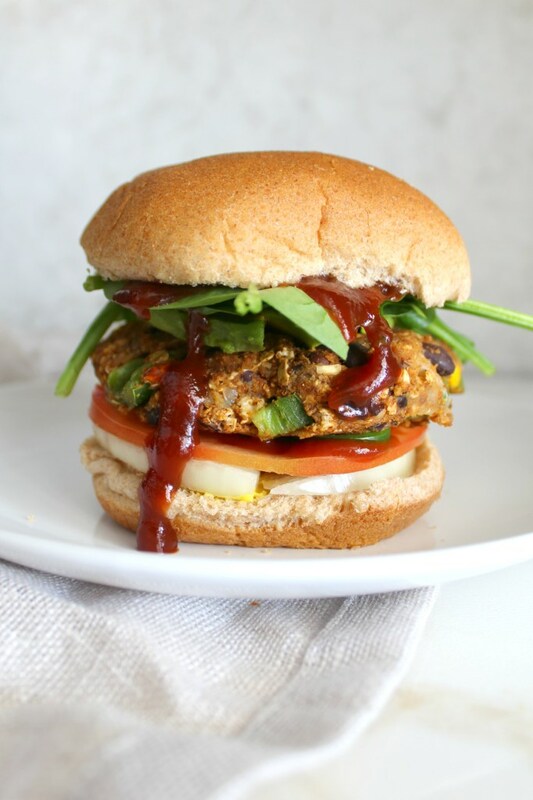 Black bean burgers are one of the hubby's favorite, so I thought I would gather some of the best recipes on Pinterest for black bean burgers. But not just the regular run of the mill kind. Oh no. 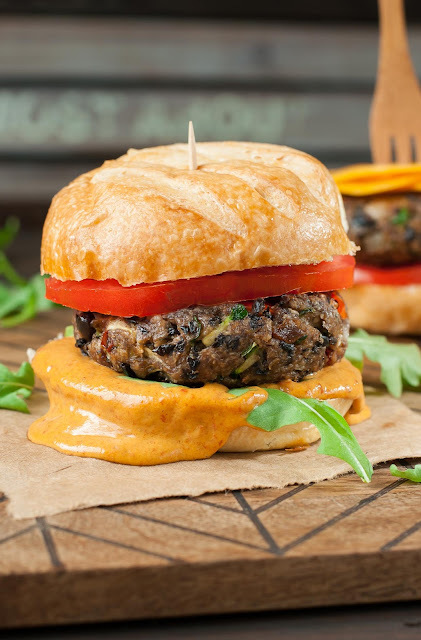 The recipes on this list are of the spicy black bean burger variety. 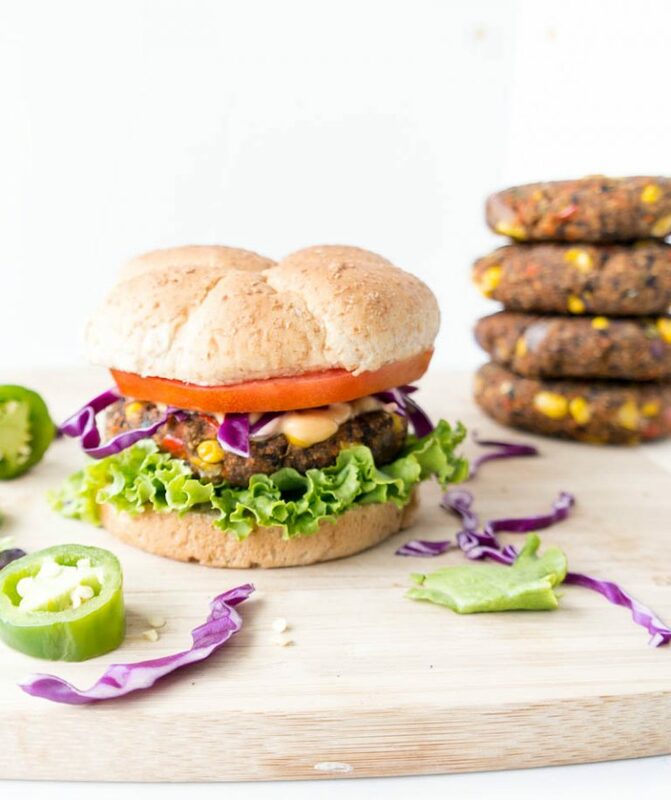 This spicy black bean burger recipe is from the awesome Shannon at The Glowing Fridge. Spicy is probably a mild description for this decadently delicious burger. 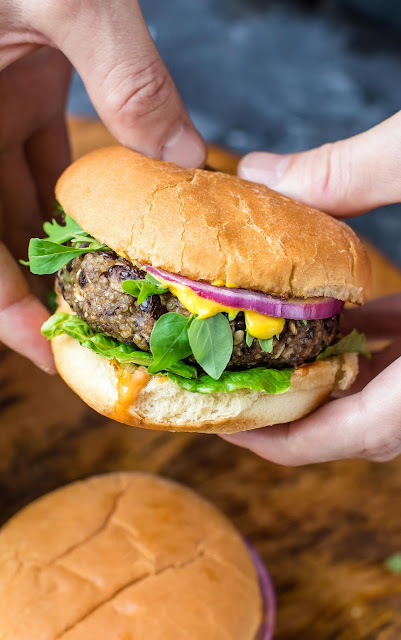 Thanks to Rene at The Spicy Vegan, I have stopped buying the frozen veggie burgers at the market because this black bean vegan burger recipe is so darn easy - and tastes incredibly insanely better! My favorite thing other than the "I want another one of these now, please" taste of these burgers is that they are easy to freeze. Which means I can have an easy ready to go healthy weeknight dinner that can go from freezer to oven to table in minutes. Siracha Mayonnaise. That ingredient alone should be enough to make you want to try this Quinoa Black Bean Burgers recipe from Jenn at Peas and Crayons. While this dish comes under the umbrella of vegetarian recipes and is gluten-free, there is an easy vegan option as well. Ella from Pure Ella has a recipe for veggie burgers that are perfect for grilling at summer barbeques this year. But you may want to forget about the hamburger buns. 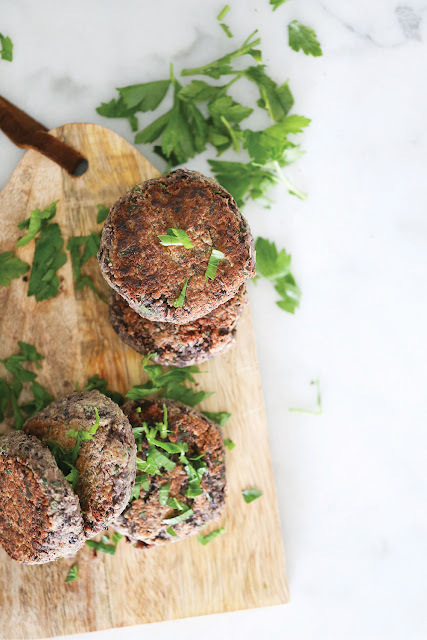 These yummy gluten-free vegan burgers are delicious all on their own. Add a healthy salad and you will be all sorts of happy and won't even miss the extra carbs in that bun you didn't eat. If you want a homemade veggie burger recipe to wow your family and friends with, then you have got to try this recipe for black bean burgers with honey chipotle sauce from Jenn at Peas and Crayons. She really does have some amazing recipes to check out - seriously good stuff over there! And even if veggie burgers are not your thing, you should still grab her home-made honey chipotle sauce recipe. Seriously. Go. Now.